A self-confessed fascination with 80s Music and film scores from the same era..George Thompson has an ability to approach music with a strong visual aesthetic which is a common theme in his work, first apparent in his role as part of the duo “Spectral Empire”, alongside Kyle Martin. Spectral Empire caught our ear many years ago. with their sound that evoking a world of abandoned battleships, psychedelic fog and possession by dark forces through a maze of industrial beats, metallic drones and heavy baselines. A trip to Dusseldorf in 2009 saw Thompson connect with the cities’ currently vibrant electronic scene, with artists such as Kriedler, Der Rauber und der Prinz, Music Cargo and Toulouse Low Trax inspiring Thompson to continue his sonic explorations and push him forwards as a solo artist, under the “Black Merlin” moniker. As “Black Merlin”, the brooding, dark, cinematic elements remain, juxtaposed by Thompson’s obsession with late-80’s FM Synthesis and expansive production of artist such as Trevor Horn and Blancmange. 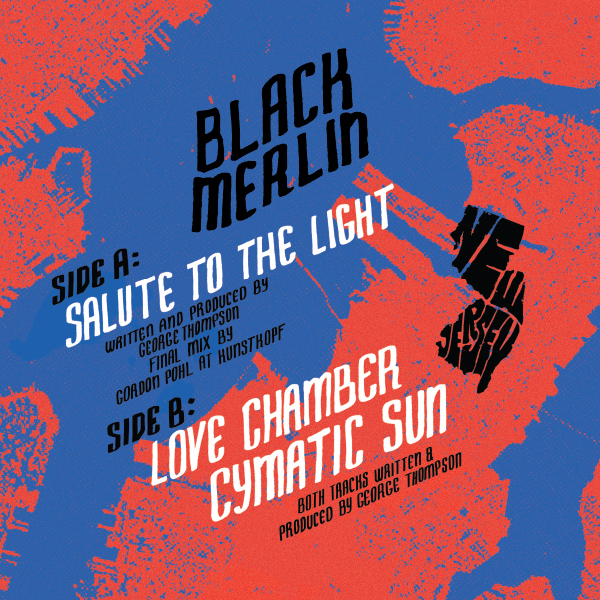 Black Merlin’s first solo release was on Andrew Weatherall’s vinyl-only label Bird Scarer in late 2012.